We provide high-net-worth individuals, corporations and family offices with the insight and expertise they need to confidently navigate the purchase or lease of a fractional share. What is Fractional Aircraft Ownership? With fractional ownership, you purchase a share of a specific aircraft type, which provides you with an annual amount of allotted flight hours. Typically, fractional programs require a minimum share size of 50 hours of flight time per year to acquire a share. Fractional shares can especially be cost effective if you plan to stay at your destination for a long period of time, since you only pay for your occupied flight time, not the positioning flights. How many hours per year do I fly? How frequently do my travel needs change? How long are my trips, usually? Do I predominately fly for personal or business reasons? How many people do I typically travel with? The initial cost to purchase a share. This varies depending on the aircraft type and size of the share. These fees cover your ownership’s portion of the fixed costs, including maintenance, pilot’s salary, crew salaries, insurance, hangar fees and other administrative costs. This fee covers your hourly operational costs for each hour flown. Clients interested in fractional aircraft ownership have a wide variety of aircraft types to choose from. From turbo-props to light jets and heavy jets, Essex Aviation can help identify the most suitable aircraft to meet any client’s specific personal or business travel requirements. There are, at present, two options when purchasing a fractional share. Traditional share sizes are based on annual flight hours per contract, per year. Other programs offer share sizes based on annual days of utilization per contract year. 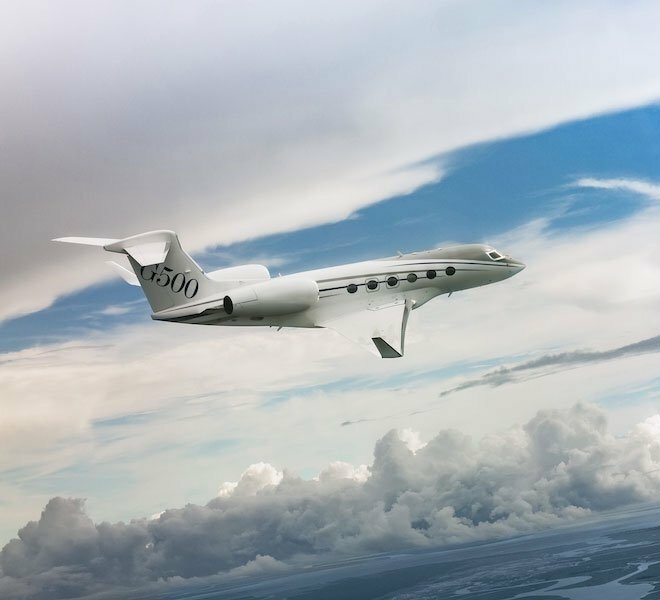 The hours-per-year model is based on shares totaling 800 occupied hours per year sold for each aircraft. The newer days-per-year model enables owners to fly as many hours as they need per day with the only limitation being standard crew duty times. Understanding the pros and cons of each model and how it fits into your travel needs is an essential part of any fractional program analysis. There are several key considerations that factor into fractional jet ownership. We assist clients through the entire fractional share purchase or lease process, starting with an initial evaluation and review of the available options. We represent our clients with the selected fractional provider during the analysis, negotiations, final contracting with the selected fractional provider and delivery of the share. Clients considering fractional aircraft ownership often have different expectations and have varying needs. For those new to private aviation, or those simply looking to make a change, the initial evaluation of the various private aircraft programs is an important step made easier by working with Essex Aviation. Our team assists clients in comparing options based on their specific needs and desires, starting with a technical and financial analysis to ensure that the right aircraft and aviation utilization models are considered. Once the client has selected an aircraft type and assessments are complete, we assist them with understanding the differences between the various proposals from the identified providers to determine which will most effectively meet their defined needs and requirements. Once the client has selected a provider, Essex will provide ongoing representation during the review, including the negotiation of terms, final contracting and closing on the share. While the billing process for fractional providers is well-defined, with fixed monthly management fees, along with invoices for variable costs based on hours flown during the prior month, we often provide routine statement monitoring and review on an as-requested basis. Most fractional share contracts are in place for three to five years. If a client wanted to exit their share early, the experienced counsel at Essex Aviation can assist them in determining the best strategy to exit their plan in the most cost-effective manner and manage the final repurchase transaction of the share with the program provider. Essex Aviation is not a brokerage firm and does not list aircraft for sale. We made this choice in order to avoid any conflicts of interest by representing both a buyer and seller. We accept no commissions, referral fees or any other forms of compensation from any third parties. At Essex, we work solely for our clients, offering unbiased and uncompromised advice. Lee Rohde and Tom Mitchell have been working in the aviation business for a combined 70+ years. Passionate about aviation since they were in their teens, Lee and Tom provide a unique combination of experience and a wealth of unparalleled knowledge while advocating for their clients’ interests. We are committed to protecting the privacy of our clients. Every agreement we enter into includes privacy and confidentiality clauses, which are strictly adhered to by every member of Essex Aviation. Essex is a well-respected consumer advocate within the aviation industry, known for our character and honesty. It is our desire to form and maintain long-term relationships with our clients and remain accountable for the analysis and support of past and ongoing decisions. Private aviation offers numerous benefits, but each service option comes with its pros and cons. 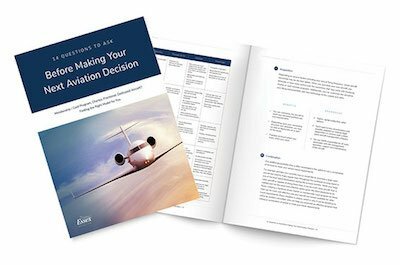 Find out whether a membership/card program, charter, fractional or dedicated aircraft model is right for you — and how a private aviation consultant can help you make an informed decision — in this free eBook.